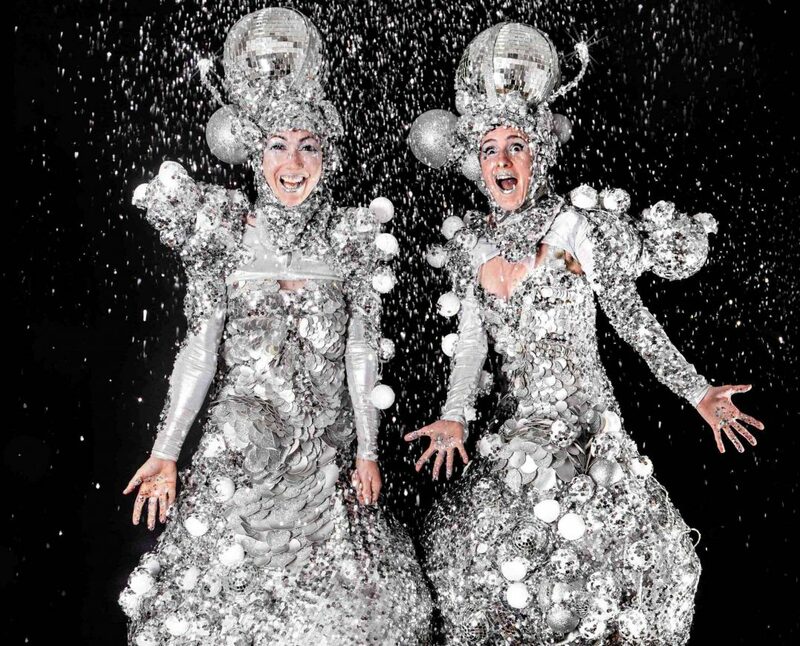 With an eye for movement, detail and exquisite costumes, which includes inbuilt light bulbs that give off an opulent glow, The Sparkling Stilt Walkers are a high impact and versatile act for any event. The performers are sculptural creations inspired by the disco scene and whether they are ground based serving drinks or dancing along with guests, The Sparkling Stilt Walkers are guaranteed to create something of a stir. 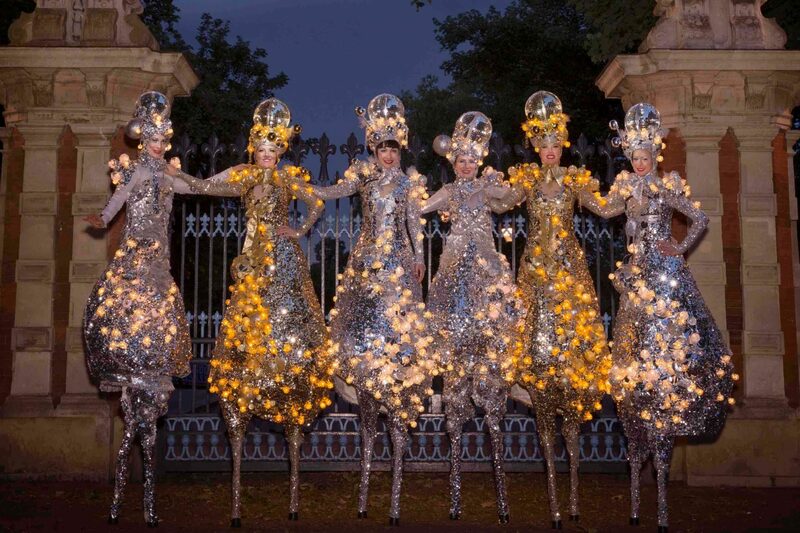 "The Sparkling Stilt Walkers have incredible costumes and are a refreshing change of performers!" "Incredible detail in the costume design!"